When you walk in the door of Dawson’s charming shop, talented and creative staff is there to greet you, ready to help you materialize your milestones. 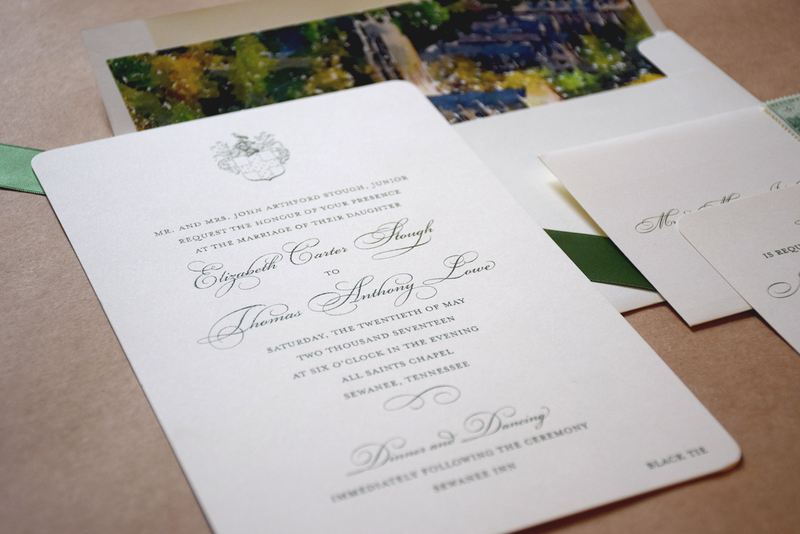 From birth announcements to wedding invitations, from small gatherings to city-wide events, and from greetings to thank you’s, Designs by Dawson has the technology, creativity and experience to design your perfect invitation, card, or stationery. We pride ourselves on taking one-on-one care of each and every client and giving them the attention they deserve. Our customers have a genuine appreciation of our creative process and the great lengths to which we go to make it perfect. The first Designs by Dawson store was opened in 2006 on Frankfort Avenue in Louisville, Kentucky. Two years later the store moved to Cincinnati, Ohio. The last ten years in the heart of Madeira have given our customers easy access to all of the services we provide. With our 2017 relocation to a larger space, we have been able to expand our gift selection to offer a wider variety of exceptional goodies.